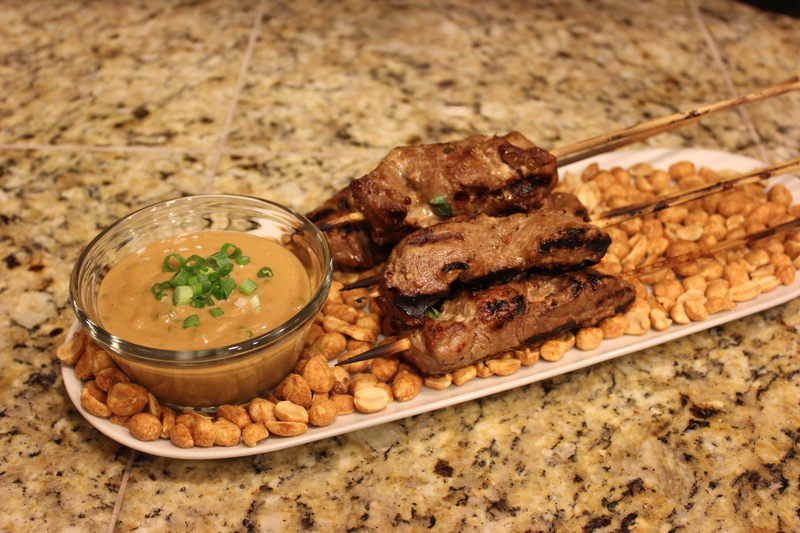 Elk striploin is marinated for 24 hours, then quickly grilled and drizzled with a simple peanut sauce for a play on an Indonesian favorite. I made it a main course with coconut milk rice and steamed edamame with chili flakes and black pepper! Meats on a stick are the perfect food. It can also be served as a buffet appetizer by placing the skewers on a bed of dry roasted peanuts along with a small bowl of peanut sauce. Cut the elk strip loin into one inch wide pieces three inches long and set aside in a large glass baking dish or in a zip lock bag. Mix all the ingredients and pour over the elk strips. Pre-heat the grill to 350º-400ºF. Thread the elk strips on on the top end of a skewer. Place the skewers on the grill for 1 minute per side. 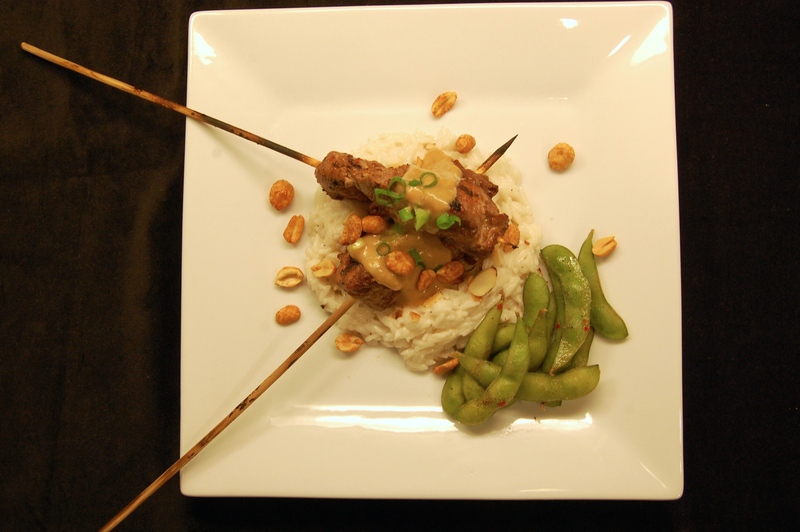 Serve the peanut sauce overtop or in a small bowl. Mix all the ingredients and drizzle over meat after cooking. Refrigerate if not using right away and re-warm slightly just to bring to room temperature. *Don't be concerned if the peanut sauce separates a little, this is normal, just re-mix the sauce. *This recipe is great for any venison, antelope, goat, duck, pheasant, domestic beef or pork, or chicken.